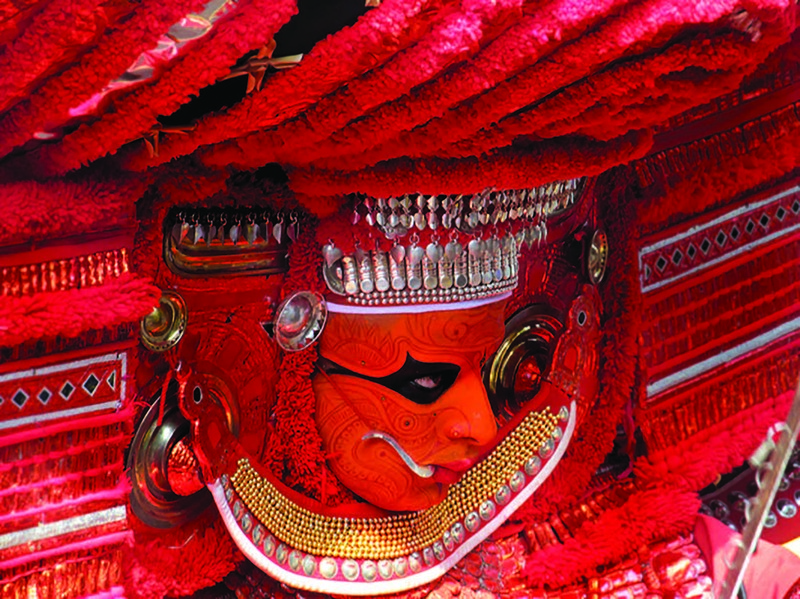 Ritual Liminality and Frame: What Did Barbosa See When He Saw the Theyyam? Later this year, Asian Theatre Journal editor Kathy Foley will step down from her post, which she’s held since 2004, and pass the baton onto current area editor, Siyuan Liu. Foley is a distinguished scholar, performer and director based out of the University of California, Santa Cruz, and has been engaged with the journal since “before it was born.” This summer, Foley shared with us the history of ATJ and highlights from her tenure with the journal. Learn more about Foley in the recent “Founders of the Field” feature by Margaret J. Caldiron in ATJ Vol. 34, No. 1. A specialist in wayang golek (Indonesian rod puppets), Foley also shared her knowledge with the Asian Art Museum in this short video. Asian Theatre Journal launched in 1984 with an article written by you and, 20 years later, you took over the editorship from Samuel L. Leiter. Can you tell us about your history with the journal and what lead you to become editor of ATJ? When I was a graduate student at UH and the East-West Center, I and my peers started a mimeographed Asian Theatre Reports, which brought together recent field research of graduate students studying Asian theatre. When East-West Center offered to upgrade this publication, James Brandon suggested instead a full peer-reviewed journal and went to UH Press with his proposal. Thus, in some ways, I feel I have been with journal since before it was born. To have followed in the footsteps of editors James Brandon with Elizabeth Wichmann-Walczak and Samuel Leiter—giants of our field—is an honor. 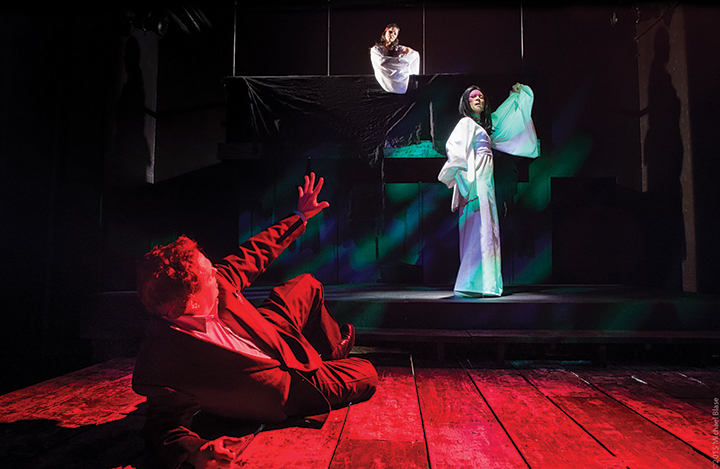 How has Asian Theatre Journal evolved over the years? And what issues are particularly relevant now? As editor my quest has been to publish fundamental research. Arts and humanities in the American and European University often remain focused on the West—what happens in New York, London, Berlin, Paris is touted as “theatre.” Japan, China, and Singapore, as they developed economic clout, have gotten attention, but I want us to see that Dili and Naha are equally important; that more than the doings of the elite need attention. We need larger vistas. Aesthetic biodiversity, past and present, is important for humans. Art makers mount stages to expand our possibilities as a species. This journal is about widening visions—my own and I hope of readers, too. In your first editor’s note, you wrote, “Knowledge is crossing oceans and leaping across generations. We are a joint community of teachers and learners.” Today, in addition to articles and translations, the journal features sections on “Emerging Scholars” as well as “Founders of the Field.” How would you describe your approach to editing ATJ? Jim Brandon started ATJ with a focus on “traditional” forms. As Samuel Leiter came, contemporary play translations and papers by “Emerging Scholars” got space. During my time there has been increasing focus on urban contemporary forms and China has mushroomed. This is not because I dictate it—it comes with the “trends” of trans-national scholarship; gender issues, sexualities, postcolonial thrusts come from what is transpiring in both grad seminars and in the world. We definitely have become more global—graduate student cohorts and assistant professors hail from across the globe. Siyuan Liu and David Jortner edited “Founders of the Field”; it was initially just a way to do more than just mark death of a single important Asian theatre scholar (Andy Tsubaki from University of Kansas). I suggested we talk to our forerunners while they were still around about how/why our field was formed. This “Founders” series ballooned, while seemingly “about” individuals, it really asks more—what is the evolving place of Asian theatre studies in the academy? How did World War II and the Occupation jumpstart our field by creating Japanist besotted with kabuki? How did the 1960s era give Southeast Asian or South Asian theatre focus? How has China after Mao allowed new studies? Looking at lineages is germane to our discipline—the guru, the sensei, the sifu—is “built in” to our training. The 10-week quarter or even the five-year PhD does not work in the same way. That Founder project asked, where do we come from and where are we heading? The next editor may not continue the series on actions and interactions, but will still keep a finger to the pulse. This year, you pass the editorship onto Siyuan Liu. Looking back on a dozen years at the helm, is there an issue that you’re particularly proud of? I think that some of the themed issues—Shakespeare in Asia, Kyogen, Malaysian Theatre, Women in Asian Theatre—have been useful, not only because they had good articles, but many of those editors have gone on to bigger editing jobs better prepared. Siyuan Liu, himself, became seasoned as an editor with the “Founders” and is now ready to do the whole. Colleague Margaret J. Coldiron characterizes your scholarly work as “detailed, accessible, and passionate.” After ATJ, what’s next for you? After ATJ I’m ready to focus on my own writing. I have so much research I have never really processed while performing, raising kids, administrating, and editing. James Brandon told me when I was a graduate student that single-point focus (then, the dissertation) was something I would seldom experience again. He was right. But Jim actually did his most important writing on kabuki after he passed off ATJ, I hope to follow his example and watch my “to do” list shrink. Asian Theatre Journal is dedicated to the performing arts of Asia, focusing upon both traditional and modern theatrical forms. It aims to facilitate the exchange of knowledge throughout the international theatrical community for the mutual benefit of all interested scholars and artists. It is the official journal of the Association of Asian Performance. 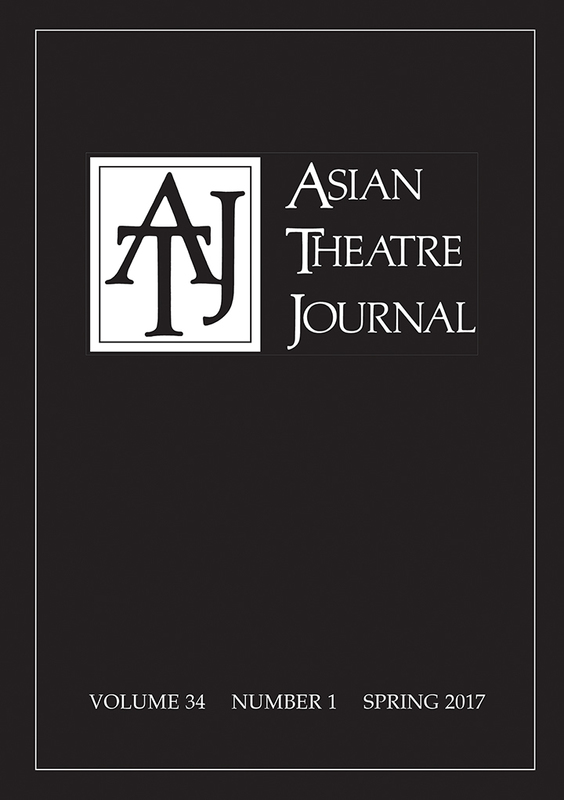 Asian Theatre Journal welcomes articles on Asian theatre and on the relations and mutual influences between Asian and Western theatre. Find submission guidelines here.